Other photos: Port Running, Port Running Profile, Helm Electronics, Forward Facing Helm, Helm, Flybridge Forward Seating, Flybridge Forward Seating, Helm Chairs, Cockpit, Cockpit, Salon, Galley, Salon, Salon Dinette, Galley, Salon Sofa, Salon Dinette, Salon Dinette Aft Facing, Galley Port Facing, Salon Facing Aft, Master Stateroom, Master Stateroom, Master Head, Forward VIP Stateroom, Forward VIP Staterrom, Forward VIP Stateroom, Crew Quarters, Day Head, Aft Flybridge Rod Holders, Cockpit Running, Release Marine Fighting Chair, Cockpit Running Facing Aft, Cockpit Running Starboard, Cockpit Facing Aft Starboard, Cockpit Facing Aft Port, Cockpit, Cockpit Forward Facing, Cockpit, Starboard Facing Forward, Engine Room Forward Facing, Port Engine Aft, Starboard Engine, Port Engine Forward, Starboard Engine Forward, Forward Starboard Engine, Forward Port Engine, Outboard Port Engine, Outboard Starboard Engine, Port Engine Facing Aft, Starboard Engine Facing Aft, Generator, Watermaker, Drone 1, Drone 2, Drone 3, Drone 4, Drone 5, Drone 6, Drone Running 7, Mississippi Gulf Coast Billfish Classic, Drone 8, Drone 9, Drone 10, Bow, Dockside Port, Dockside Starboard, Dockside Starboard, Dockside Starboard, Cockpit Cover, Bow Rail, Dockside Cockpit, Drone Running 11, Brow Cover Black Mast, Electronics Covers, Helm Chair Covers, Helm Electronics Cover, Cockpit Chair Cover, Cockpit Chair Cover, Cockpit Cover, Cockpit Cover, Cockpart Cover, Three Stateroom 2 Head Layout. This 2013 Hatteras GT54 was originally purchased new by an electrical contractor out of Fairhaven, MA. It spent from 2013 to September 2016 in the Northeast for coastal cruising during the summer and heated storage unit during the winter. In September of 2016 a local Pensacola, FL manufacturing business man purchased the yacht to cruise and fish the Gulf Coast. Originally, the boat left the Hatteras factory as a standard package with limited options. However, the new owner wanted her fished rigged and ready to fish or cruise at a moment’s notice. “Fabricator” has received many upgrades in 2017 and 2018 adding almost every amenity a fisherman or cruiser could want. Recent upgrades include Sea Recovery Watermaker, Anchor Windlass, AIS Class A & B receiver, Furuno weather, ultimate JL Audio sound system, teak coaming boards with bullnose covering boards, teak mezzanine step, fighting chair, Lumishore underwater lights, PENTAX tuna tube pump with cockpit quick connect, cockpit shade, and padded brow cover. Powered with the standard CAT C18’s 1135 bhp the Hatteras GT54 is the most economical and roomy sport fisherman in her class. “Fabricator” has been captain maintained and current on all CAT engine services and routine maintenance. Service records available upon request for serious inquires. The current owner has the work orders and invoices to support advertised upgrades. 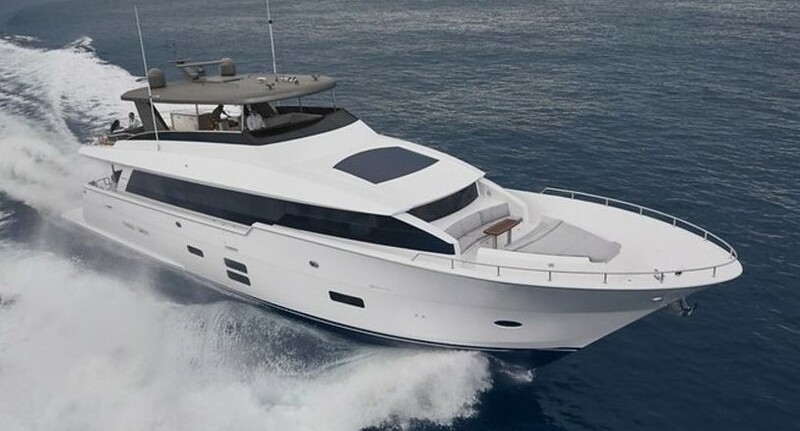 As the listing Broker, I've been involved with several documented Hatteras 54 sales over the past several years. If you're looking for a broker that knows the Hatteras 54 Convertible market please give me a call.